Yesterday, Sony surprised almost everyone with the un-leaked announcement of the new Sony A7R II. Of course many expected an A7R II after Sony updated the original A7 with the A7 II last December. 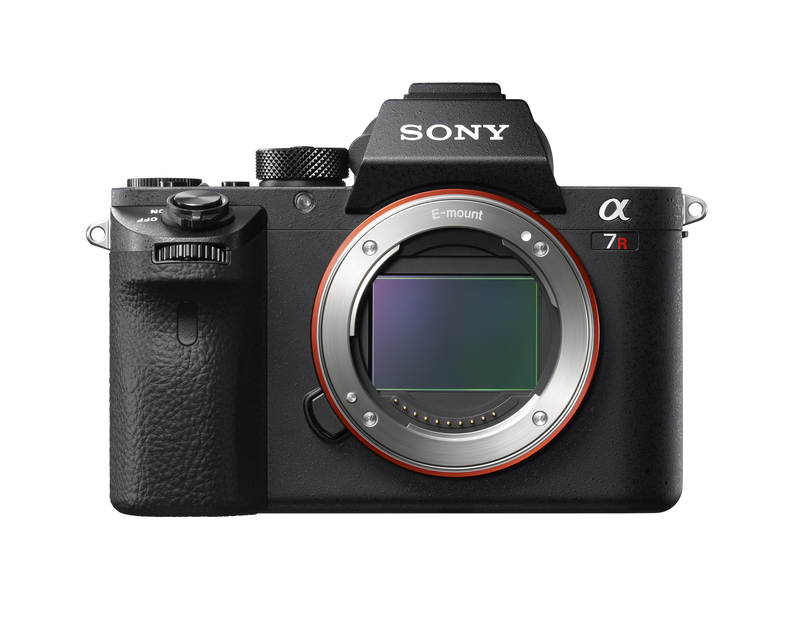 However, the feeling by many was that Sony would give the A7R II the same treatment it gave the A7 II – similar sensor, added in-body stabilization, new body type. However, the actual release ended up being so much more. What Sony released really is a wake-up call to the entire industry. Even in the mirrorless space, where companies like Fuji and Olympus keep pushing the envelope with unique controls and great tech features, the sensor situation with all the other mirrorless players, save for Samsung, has been very stagnant the last three years. Fuji’s using largely the same sensor (save for PDAF pixels) as they did in the original X-Pro 1. 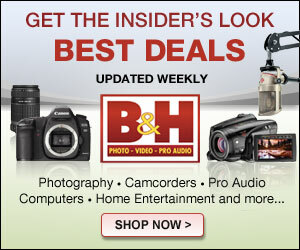 Olympus and Panasonic have been using the same 16 Megapixel sensors (with slight variations) since the E-M5 and GH2. In the past year and a half, Sony has released full frame cameras with no less than FOUR new sensors, and the A7R II gains a sensor that hasn’t been used by any other maker: it appears to be Sony’s newest technology, and they saved it for themselves. The new sensor in the A7R II is the world’s first backside illuminated full-frame sensor, and it packs 42 megapixels into its 36x24mm wafer. While this trails the new Canon 5Ds series and is only a modest increase from the 36 megapixels found in the original A7R, the new technology and Sony’s excellent sensor track record indicates that this sensor may be the overall best performing full-frame sensor ever released. Sony’s confident enough in improved noise performance to increase max ISO to 102,400. Of course, the A7R II gains all the improvements from the A7 II: the body style is the same as the A7 II, with the improved grip and more robust build quality, and it gains a slightly modified version of the 5-axis in-body images stabilization of its brother. With the high-resolution, improved high ISO and in-body IS, this camera should really be able to manage excellent photos in almost all lighting conditions. However, Sony didn’t stop with those improvements: they’ve introduced a new shutter mechanism, rated for 500,000 actuations and with much lower vibration than the original A7R. Plus it gains electronic first curtain shutter and completely electronic shutter capabilities. They also added 399 phase-detect autofocus points to the sensor, which should give improved AF, even compared to the A7 II. The biggest thing with the new AF system? Adapted A mount lenses can use the PDAF autofocus system and focus as quickly as on the native DSLR (or at least as fast as the native E-Mount lenses can focus. DPReview noted that their testing even showed Canon EF mount lenses via the Metabones EF-E adapter to utilize the PDAF points and focus as quickly as a native Canon body. This is HUGE. Canon shooters can switch over now and use their lenses with near native AF speed if they so choose. Sony also improved the viewfinder, at least with regards to the optics. The EVF now sports the largest magnification on a DSLR or mirrorless body, at 0.78x (just exceeding the Fuji X-T1’s 0.77x). Oh, and they added native internal 4K video recording. 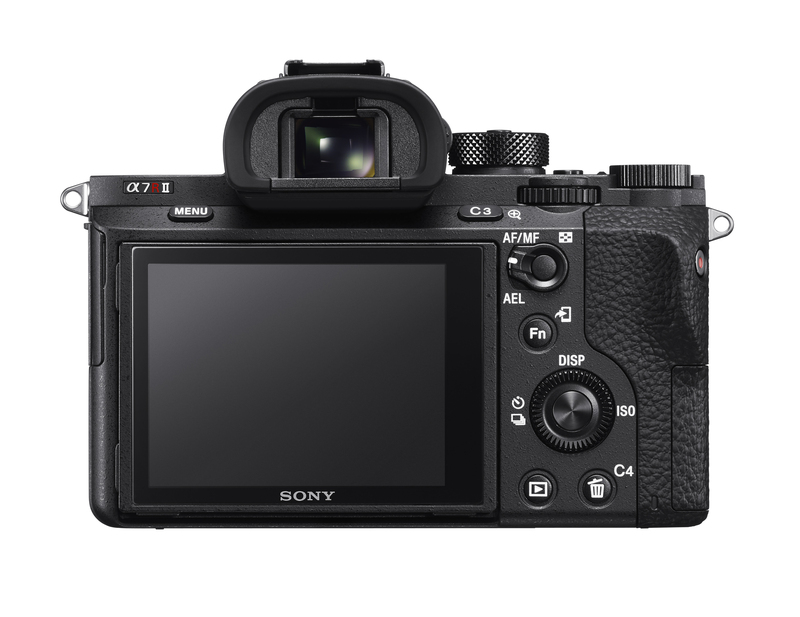 Almost every wish list item for the A7R II was actually added to the A7R II. The only down side? It’s an expensive camera at $3,200. But with no one racing to catch them in this segment, Sony can afford to start a bit high. The mirrorless industry has been the seat of a lot of innovation in cameras lately, but with many manufacturers producing somewhat incremental upgrades, Sony just came in, took the wraps off the A7R II and dropped the mic. Will anyone else have an answer? The only thing missing is lossless RAW, and there are some suggestions that might come in a firmware upgrade. This should serve as fair warning to Canon and Nikon, Sony is out to eat your lunch. This should be the wakeup call for mirrorless manufactors, not the other way around. What, you mean the fact that the overall gap between them has shrunk considerably over the last two years? DSLR sales are falling down – we all know that, but mirrorless cameras shipments appear to be generally flat since 2013 and mirrorless still represents only a fraction of the DSLR market. Flat sales in a market where the other high end devices continue to fall is pretty good. Mirrorless is a small portion of the market, but long term I’d still bet my money there. Thing is, it doesn’t matter – there will be shooters who prefer one over the other for some time to come. Shoot what works best for your needs. Interesting. 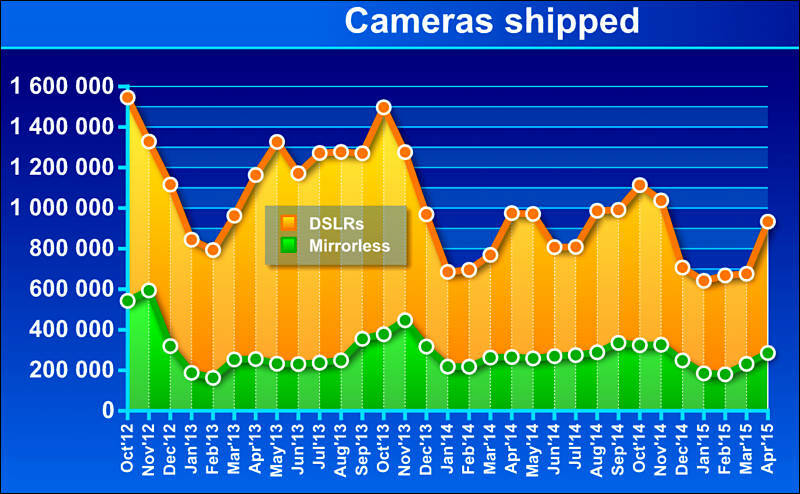 From the data, SLR’s continue to eat mirrorless’ lunch. Even worse when you remember that mirrorless companies do nothing but lose enormous amounts of money. Panasonic, Fuji, and Olympus, all lose money with their camera divisions. They lose money today and have ever since they started.